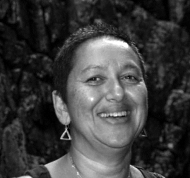 Nadia Khan Kimmie started her inner journey of working with her shadow side and has been transformed through the powerful work of Family Constellations and Shamanism, of which she is an international practitioner. She began facilitating Medicine Drum making workshops in her native South Africa, and has continued these offerings in Germany and the United States. Nadia is a natural healer and her teachings carry this essence. All aspects of her work are based on healing and sharing the wisdom she has learned from her teachers and her own life lessons. Nadia will be traveling to Natick to lead this Saturday workshop and on Friday co-leading with Starr Pott's for the workshop: Finding Your Voice, Come Home to Yourself which meets Friday night, 7/21.